Home / Health Care / Health wise / Is Banana Good For You? Bananas are grown in at least 107 countries and consumed all over the world. People consume this fruit because it is healthy as well as tasty. With so many people consuming so many bananas, it is not surprising that people asking the question - are bananas good for health or not? 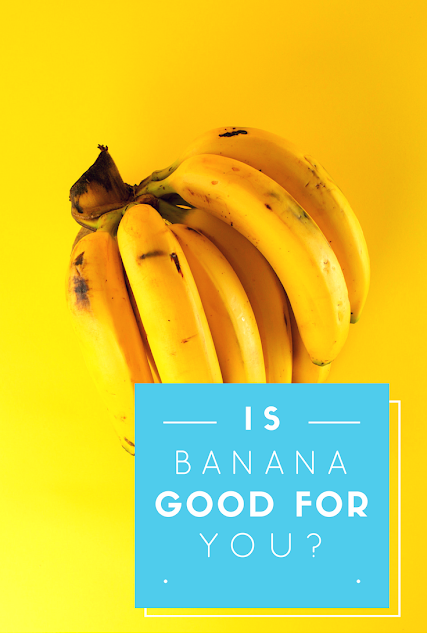 In this article, I am going to tell you which nutrients bananas have, what are the benefits and risks associated with this fruit. Asthma: A study conducted by the Imperial College of London found that persons who ate one banana per day have fewer chances of suffering from asthma. Heart Health: Vitamin B6 and C, fiber, potassium contents in this fruit improves heart health. In one study, those who consumed 4069 mg of potassium per day had a 49% lower risk of death from heart disease compared with those who consumed less potassium. Cancer: Bananas are rich in fiber and resistant starch which helps to protect against colon cancer. 1. Pectin: It decreases as the banana ripens. 2. Resistant Starch: This type of fiber founds in unripe bananas. Weight Loss: As banana contains fiber and fiber helps to keep your appetite full for longer time. A medium-size banana contains relatively few calories that are 120 yet it is also very nutrients. Anti - Oxidants: Bananas are high in many antioxidants like dopamine and catechins which may help to reduce damage from free radicals and also lower the risk of many diseases. Bananas are high in potassium. so, if your kidneys are not working properly and are unable to remove excess potassium from the blood then it could be fatal for you. If you are suffering from a migraine then you should avoid eating bananas as this fruit triggers migraine pain in many people. If you want to eat a banana then don't eat more than one banana in two-three days. Some people are allergic to banana. If you are suffering from this problem then avoid to eat it because if you eat then you may suffer from mouth and throat itching, swelling etc. Don't eat more than two bananas in a day if you are trying to reduce your weight. Great info..thank you for sharing info on bananas!